Did it again today. Lost me foot pod! This time I found it after retracing my steps. I then went over to where I lost my first one but couldn't find that one. Had a cracking run up and down the Chilterns in the sunshine with the dog. I reckon I've worked out why it comes off. 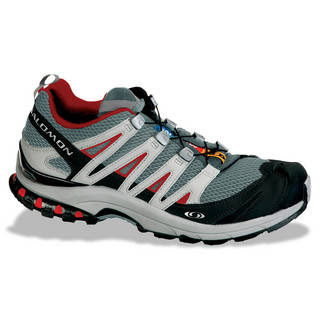 The Salomon shoes I wear have thin kevlar laces which are tightened using a spring loaded toggle. This toggle then fits under a flap on the tongue of the shoe. My theory is that when I bend my foot the toggle presses on the footpod and pushes it out of its clip. So I simply moved the clip further down the laces. So far so good. While we're on the subject the laces on the new Salomons are not as good as those on the previous model. The foot pod clip has damaged the laces in a very short space of time. This didn't happen at all on my previous two pairs of Salomons. Got some very ugly replacements.